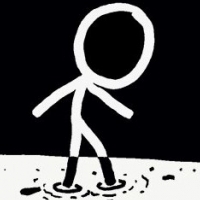 xkcd, sometimes styled XKCD, is a webcomic created by American author Randall Munroe. The comic's tagline describes it as "A webcomic of romance, sarcasm, math, and language". Munroe states on the comic's website that the name of the comic is not an initialism but "just a word with no phonetic pronunciation".